Read is an Associate Vice President in The North Highland Company’s strategy practice with over 20 years of experience in strategy. Read serves on the Executive Team of North Highland’s Strategy group and is a leader in both the firm’s M&A practice and its Performance Improvement Service Line, where he is the leader of the Finance Strategy practice. He has over 20 years of experience in strategy, advising management teams across North and South America, Europe, and Asia. Before joining North Highland, Read ran Corporate Financial Planning and Analysis and Americas FP&A for Asurion, the world’s leader in technology protection services, where he designed, implemented, and led new processes and structures for annual and three-year business planning, financial reporting, forecasting, and investment management. 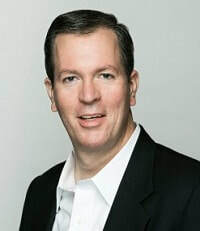 Prior to Asurion, he was the head of strategy for Kraft Foods’ Snacks and Confectionery business and, prior to that, was the head of strategy for all of Tyson Foods and served on the CFO’s leadership team. Before Tyson, Read spent over a decade as a strategy consultant. He has experience across a diverse set of industries, including consumer products (CPG), retail, food, foodservice, healthcare, and financial services. Specific areas of expertise include corporate and business-unit strategy, strategic planning, pricing, corporate finance, M&A, and organizational design. Read holds an MBA from the Kellogg School of Management at Northwestern University and a BA in Economics from the University of Virginia.